Concrete is the most commonly used material after water, with over three tonnes per capita produced every year in the world. Although a newcomer, structural concrete is today the dominant structural and construction material. It serves very well society’s needs, being not only economic but also the most versatile and adaptable of structural materials, produced in almost any shape, under diverse – and sometimes adverse – conditions at the site or far away. As such, it has helped create some of the most aesthetic, functional and economic structures of modern times, which will hopefully be seen by future generations as monuments of our era. for construction and survival under very adverse conditions: in the arctic, deep underground or under water, etc. The scientific-and-technical (S/T) community of structural concrete has already addressed an originally unforeseen challenge: that of durability. 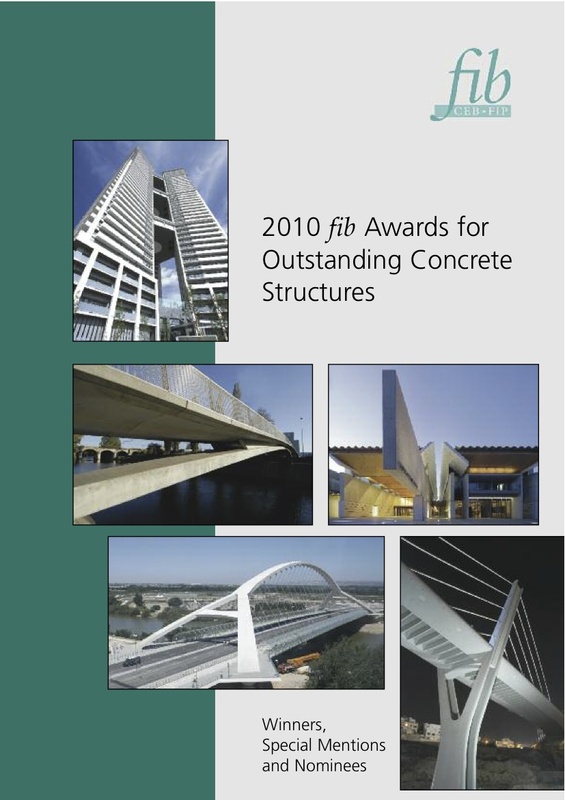 We believe that concrete structures designed, executed and maintained according to current fib recommendations will serve well their purpose during their intended service life and beyond, aging gracefully like some of the beautiful masonry or timber structures we have inherited from past generations. Our S/T community faces now a new and greater challenge: to serve the needs of sustainable development. In fact, in humanity’s current struggle against climate change, concrete is seen today as one of the prime offenders owing mainly to the greenhouse gasses emitted during the production of cement. It is up to us to rise to this challenge, not just to maintain concrete’s dominance as a structural material, but mainly to do our duty towards humankind. We do hope that concrete is in a good position in this respect, better than structural steel: new knowledge in concrete technology and materials allows the same performance using lower cement contents, while recent advances in concrete engineering help us achieve the same structural goals with smaller concrete volumes. Structural concrete also lends itself well for retrofitting projects, serving the sustainability goal by enabling us to extend the life of older structures – sometimes even built of other materials – instead of demolishing them and building new ones. Slenderness and lightness enhance also the aesthetics of concrete structures. Possibly owing to past ostentatious use, concrete is sometimes associated in the popular – or even populist – mind with poor aesthetics and considered to offend the environment. It is our duty, not to our trade but to society, to conceive, design and execute elegant and beautiful concrete structures, for the durability and longevity of which future generations will be happy. Through its Awards for Outstanding Structures (AOS), fib rewards aesthetics, innovation, soundness of structural concept, efficient and prudent use of materials and in general whatever helps concrete structures serve better the current and future needs of humankind. It promotes new structural concepts based on innovative construction techniques, as well as the application in practice of recent advances in new and innovative high performance concretes and reinforcing and prestressing materials and systems. This year’s nominations and awards have served well these objectives. fib is proud of them and most grateful to those who made these projects come true. We invite you all to get to know and learn from them through this publication, the AOS ceremony and poster presentations at fib’s 3rd Congress, as well as from any other source of information. We also look forward to the continuation of this successful tradition, to the benefit of structural concrete of future societies.